Broken Maruti Suzuki car glass replacement and repair at the best discounted price. 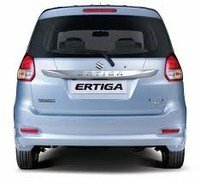 Book online for Maruti Suzuki Ertiga car glass and avail best offers and doorstep facility. Auto Glass Masters offers car glass replacement near you (home or office) through our service centers in Delhi, Gurgaon, and Faridabad. We stock all types of genuine Maruti Suzuki car glasses – Windshield, Door Glass and Back Glass. All our glass are OE quality products procured from AIS and Saint Gobain. Both are OEM (Original Equipment Manufacturers) car glass suppliers for Maruti Suzuki and hence are trusted by Maruti car glass suppliers for the best quality products. For all orders booked online, we complete the order within 2 working days. 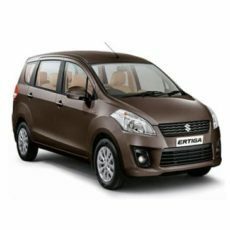 All Maruti Suzuki Ertiga car glasses have a 1-year warranty for manufacturing defects and workmanship. For any additional information regarding Maruti Ertiga car glass repair or replacement, call us or visit your nearest service center. Book online genuine AIS Maruti Suzuki Ertiga back glass with heating. Prices are inclusive of product and fitment charges (AIS Genuine rear defogger + PU Sealant + Installation Charges + 18% GST).